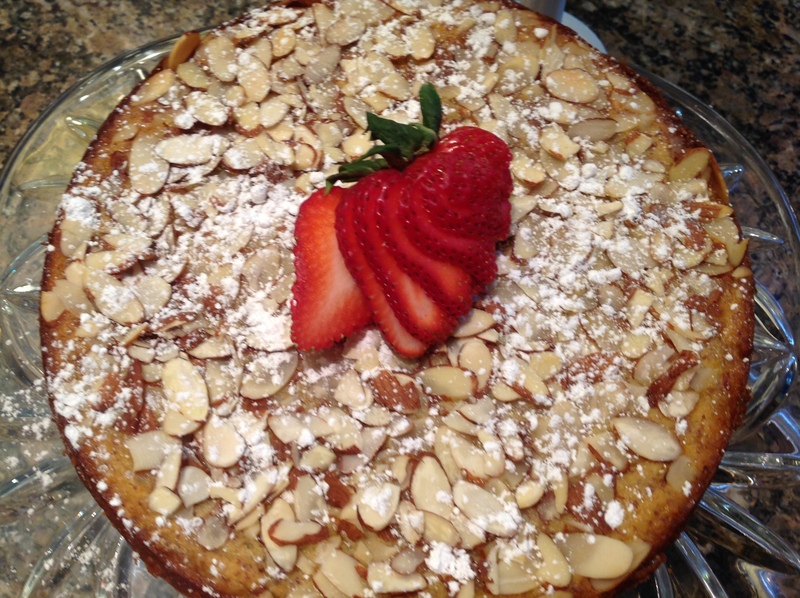 This easy but elegant cake has it all: gorgeous, moist, gluten free and not too sweet. The Meyer lemon zest adds a bright note to the ricotta, a perfect pairing of flavors. If you don’t have Meyers, substitute regular lemons or even orange. 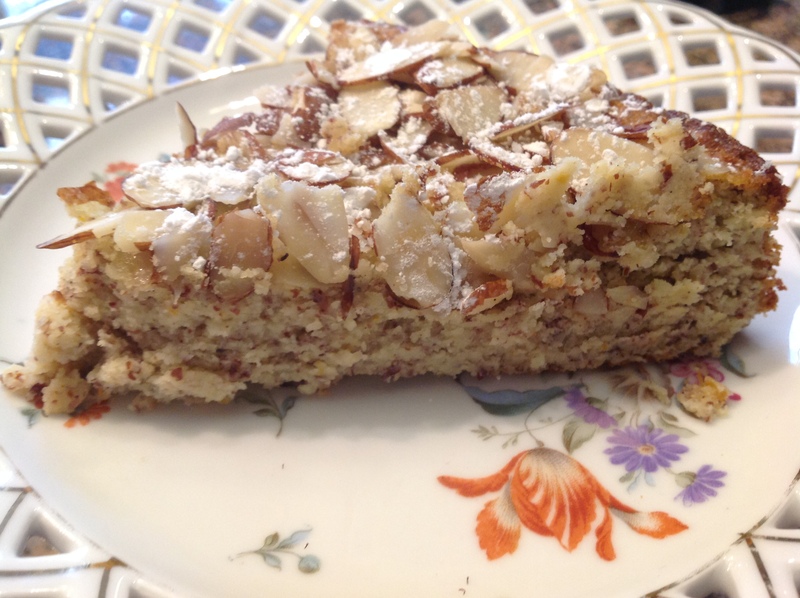 The almond meal gives the cake a bit of texture with a second layering of almond flavor provided with the roasted almond crunchy topping. A lovely spring dessert. Preheat oven to 325F. Generously butter a 9″ springform pan. Beat the egg whites until stiff. Reserve. 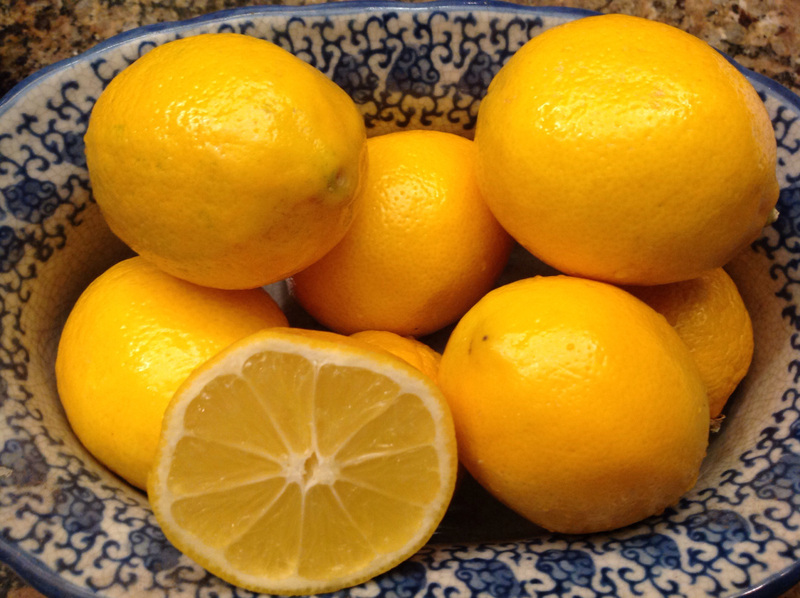 In a large bowl, cream the butter, sugar, lemon zest and vanilla bean. Beat in the lemon juice then the egg yolks, one at a time. Beat in the ricotta and the almond meal. Pour batter into prepared springform pan. Sprinkle the top with sliced almonds. Cool in pan. When ready to serve, remove sides, sprinkle with icing sugar. 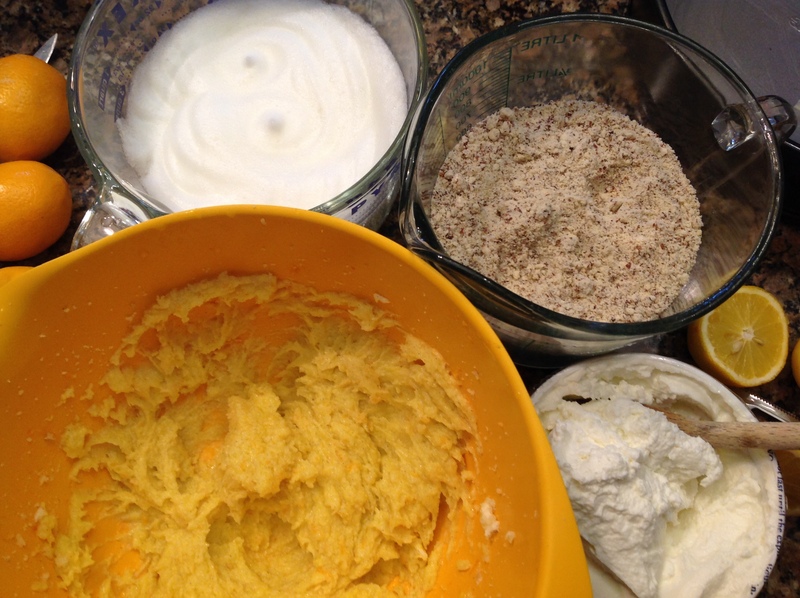 The creamed butter-egg yolk mixture before the addition of the almond meal, ricotta and beaten egg whites. The batter being sprinkled with the sliced almonds. 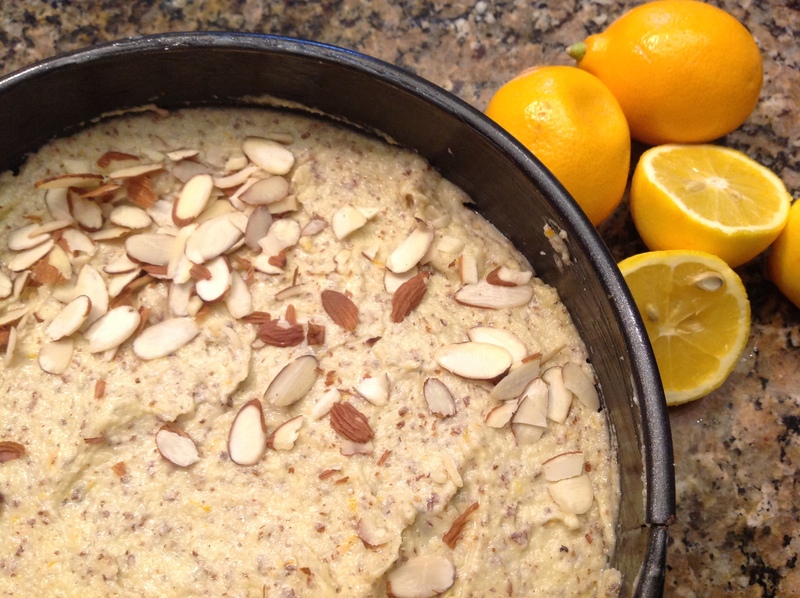 The distinctive soft skinned Meyer Lemons add such great flavor to baked goods. 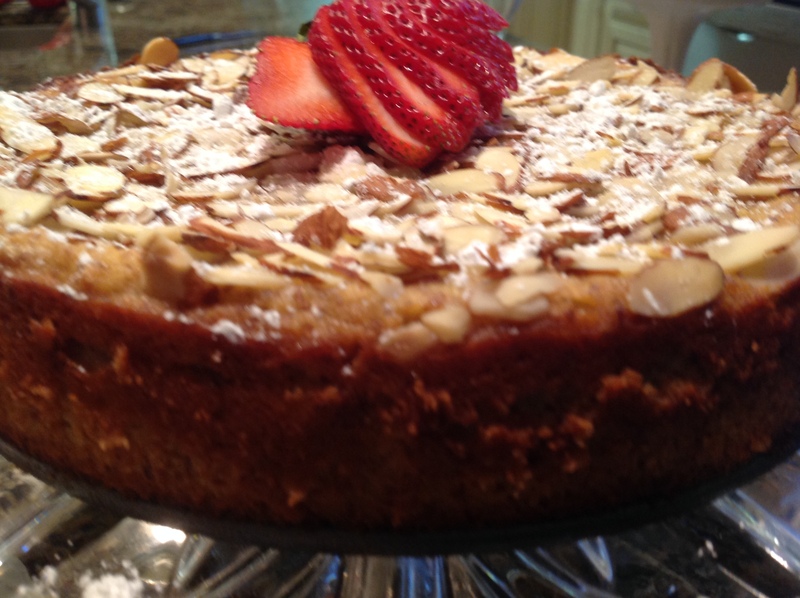 This entry was posted in Recipes and tagged flourless lemon ricotta cake, GF lemon ricotta cake, Meryer Lemon-Almond Ricotta cake, Meyer Lemon Ricotta cake by Johanne Lamarche. Bookmark the permalink. This is really good. Give it a try. Whoa, I can imagine how wonderfully rich this cake must taste Johanne!! Droolicious!! Love that word Naina! Droolicious it was! This cake look so good .Cant wait to try it! Hi Vicky! So glad you like the cake. Let me know how it turns out.